Since Borderlands‘ mainline series has been on hiatus for so long, some people have been concerned about which characters and their respective voice actors will return. Thankfully, Tiny Tina is one person fans can mark off their list. The loud-mouthed character will indeed appear in Borderlands 3, and Ashly Burch is reprising the role, according to Gearbox CEO Randy Pitchford. Though simple, it is an exciting confirmation, indeed. Burch has been incredibly busy since the last time she brought Tiny Tina to life. Most notably, Burch voiced Chloe for much of the celebrated Life is Strange series. She’s also lent her voice to Aloy in Horizon Zero Dawn and its DLC, The Frozen Wilds. With a sequel to Horizon all but confirmed, Burch is bound to soon adopt the role of Aloy, yet again. Much of the concern with regards to who will and will not return for Borderlands 3 stems from the mini-controversy surrounding Troy Baker’s Tales from the Borderlands role, Rhys. The fancy sock-wearing character appeared in the Borderlands 3 trailer. However, shortly after the game’s announcement, Baker claimed Gearbox had not contacted him about reprising the beloved role. Apparently, this is not entirely true. As Pitchford alleges, Baker’s Borderlands 3 absence is due to Baker himself turning down the project. At the time of writing, this confusion has seemingly yet to be settled. 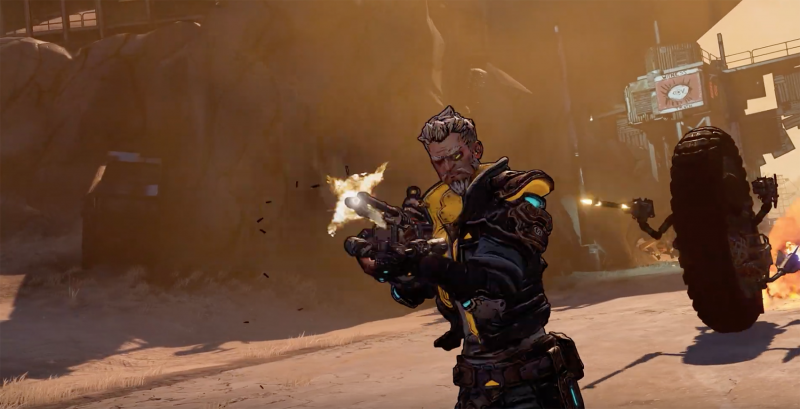 Borderlands 3 will finally hit the PlayStation 4, PC, and Xbox One later this year on September 13th. Preorders for the game, as well as its three special editions, have already gone live online and at retailers.